After series of attack by suspected herdsmen in Benue State which had led to the death of many including a police officer who was recently killed at Yogbo village, police in the state have commenced counter-terrorism operations. 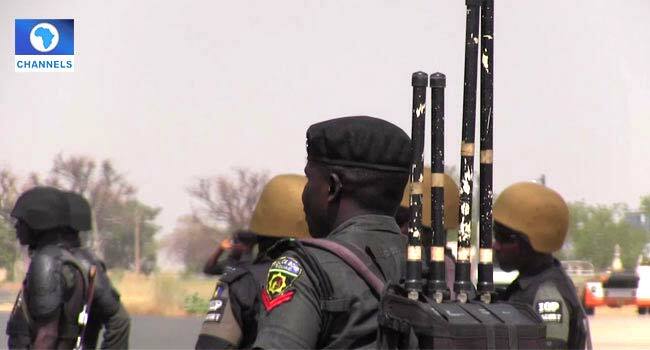 The Commissioner of Police in Benue State, Fatai Owoseni on Sunday confirmed the commencement of the counter-terrorism operation to Channels Television. He said this is aimed at flushing out herdsmen who are reportedly armed and perpetrating violent attacks in the state. Speaking to Channels Television during a telephone interview on Sunday, Owoseni said, three of the armed herdsmen were gunned down, prompting the combined team of the police counter-terrorism and special force team to move in for mop-up operations. The police boss who informed that another policeman is still missing added that credible intelligence revealed the targeting of police personnel by the armed herdsmen. They are reported to be from the Rukubi axis of Doma Local Government Area bordering Yogbo and Yelwata communities of Benue State. The Chairman of Guma Local Government, Anthony Shawon, also confirmed the killing of four persons in the Yogbo attack. He said the suspects unleashed mayhem about 4:00 p.m. on Saturday when they invaded the village. Benue State Governor Samuel Ortom on Saturday condemned the Inspector General of Police, Mr Ibrahim Idris after the police boss allegedly blamed the recent killings on the Open Grazing Prohibition and Ranches Establishment Law enacted by the state government. Governor Ortom condemning the alleged comments by the IGP said they indicated complicity in the act and an abdication of responsibility to protect the citizens and maintain law and order.